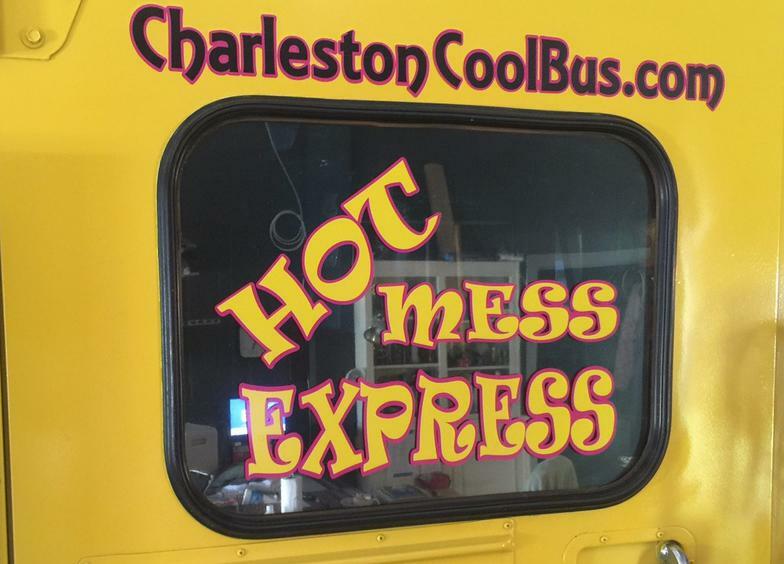 THE COOLEST BUS IN CHARLESTON IS GETTING A MAKE OVER! 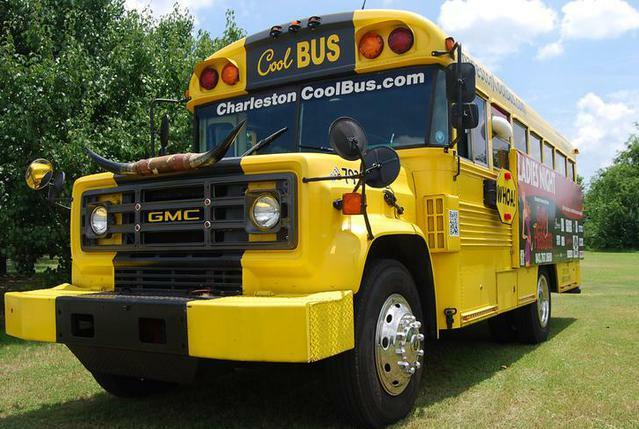 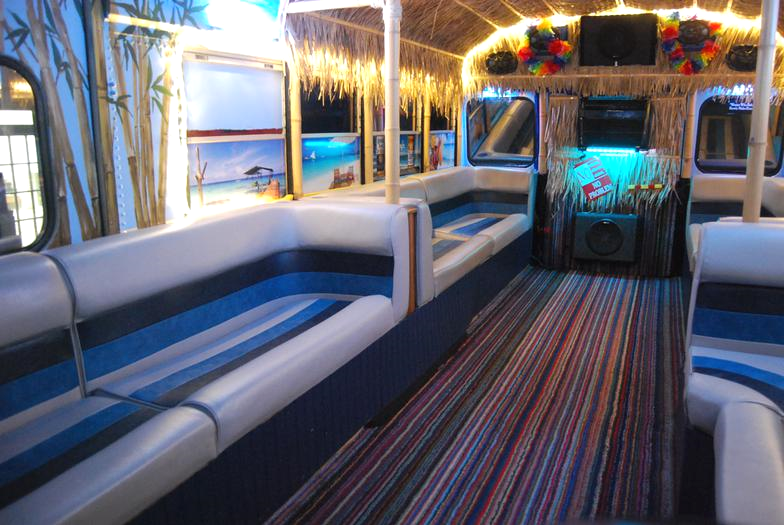 PLEASE CHECK BACK WITH US SOON TO BOOK YOUR APOINTMENT ON THE NEW AND IMPROVED COOL BUS! 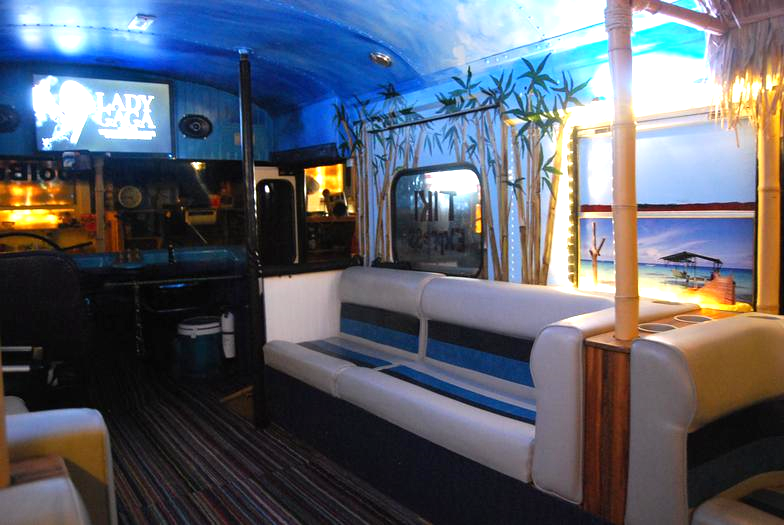 a wide dance alley, iPhone/MP3 hook-up, lights, sound, TV/DVD and plenty of ridiculousness! 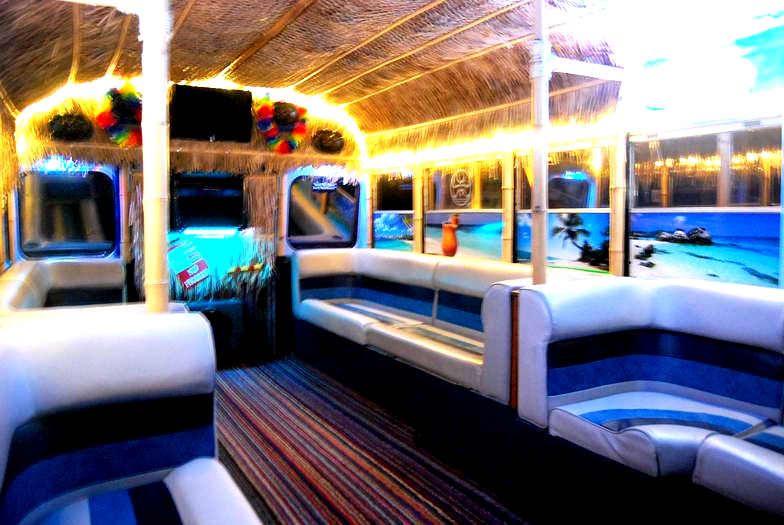 We pick you up, take you where you want to go, come back when you're ready and get you back home. 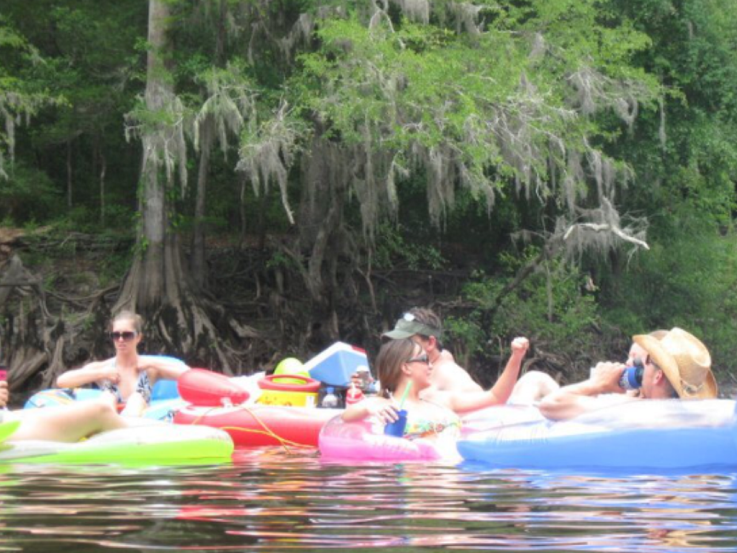 Going out with A BANG, and pictures to prove it! 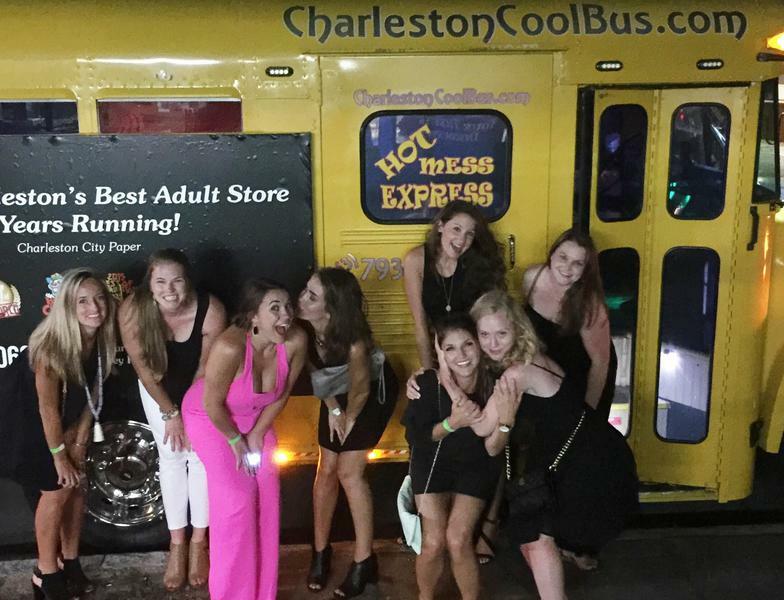 ​We come get y'all, bounce around the town to party, hit some famous Charleston sites for pictures and silliness, and get y'all home safe for your big day!